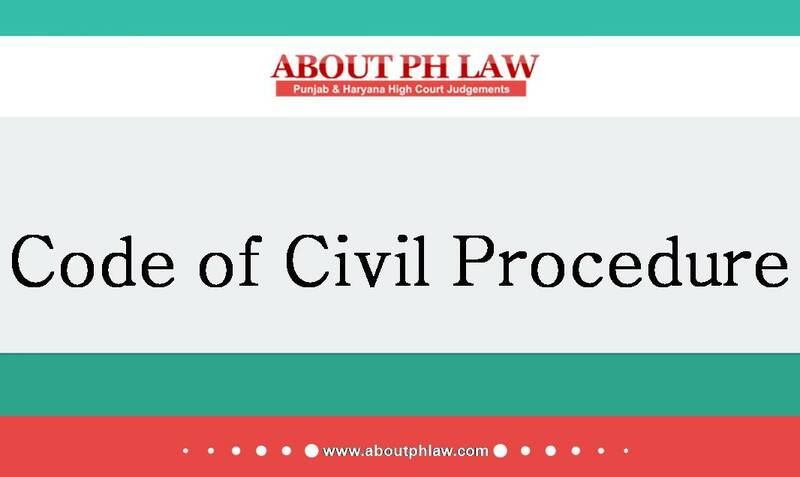 Civil Procedure Code, 1908, O.26 R.9–Local Commissioner-Appointment of- -Demarcation of Property—Local Commissioner cannot be appointed for collecting evidence on behalf of either of the parties. Comments Off on Civil Procedure Code, 1908, O.26 R.9–Local Commissioner-Appointment of- -Demarcation of Property—Local Commissioner cannot be appointed for collecting evidence on behalf of either of the parties. Precedents—Once the trial Court has exercised its jurisdiction in declining the application then it does not lie to the mouth of the petitioner that in the light of some precedents of different High Courts the jurisdiction has not been properly exercised. Comments Off on Precedents—Once the trial Court has exercised its jurisdiction in declining the application then it does not lie to the mouth of the petitioner that in the light of some precedents of different High Courts the jurisdiction has not been properly exercised. Local Commissioner—Appointment of—Such power is to be exercised only if the Court deems it proper that local investigation is required for the purpose of elucidating any matter in dispute. Comments Off on Local Commissioner—Appointment of—Such power is to be exercised only if the Court deems it proper that local investigation is required for the purpose of elucidating any matter in dispute. Civil Procedure Code, 1908, O.26 R.9—Local Commissioner—Appointment of-Revision as such against declining of appointment of local commissioner is not maintainable. Comments Off on Civil Procedure Code, 1908, O.26 R.9—Local Commissioner—Appointment of-Revision as such against declining of appointment of local commissioner is not maintainable. Local Commissioner—He is a witness like other witnesses and the petitioner shall get an opportunity to cross-examine him. Comments Off on Local Commissioner—He is a witness like other witnesses and the petitioner shall get an opportunity to cross-examine him. Local Commissioner—Appointment of—Order refusing to appoint Local Commissioner is not revisable. Comments Off on Local Commissioner—Appointment of—Order refusing to appoint Local Commissioner is not revisable. Local Commissioner—Report of—If the defendant is not associated at the time of demarcation, such report has to be discarded. Comments Off on Local Commissioner—Report of—If the defendant is not associated at the time of demarcation, such report has to be discarded. Local Commissioner—He should not be appointed to report which party in possession of property in dispute. Comments Off on Local Commissioner—He should not be appointed to report which party in possession of property in dispute.